Looking back on adventurous 2015, let me share with you some highlights starting with the last…. I again delivered, as every year, a Leadership Resonance Masterclass® – workshop style learning module for the BOSCH Gmbh leaders in Berlin. Because of relatively small group of VP level participants we could explore the creative “translation” of music masterpiece’s deep emotional impact into poetry, which was created by participants in small teams: While all content related to the corporate values! It felt like we are well on the way towards a formula for executive learning beyond only information, transiting knowledge to wisdom, striving beyond excellence towards genius! For the second time I was part of the annual FCA Group leaders meeting in Serbia at the Lake Bor. Together we spend two days with various interactive and creative exercises, encouraging attendees’ artistic expression to reach higher teamwork and leadership level through my “Transformational Leadership and Teambuilding Journey”. Next year they will be sitting in the symphony orchestra, among the players, to explore my “symphonic organization” methodology! My musical method is getting highly recognized among consultants who often invite me to support the events of their clients. In October, for instance, I truly enjoyed working with a creative consulting group Peoplerise who also use Otto Scharmer’s Theory U model in their workshops. Music speaks directly to the feelings and my method brings the masterpiece structure alive, making the leadership journey unforgettable experience and inner force for change. This was the musical impulse for ELECTROLUX sales force leadership. Also in October I supported in a similar way my colleagues consultants at ICG, Integrated Consulting Group Learning Days in Cologne. Deep learning requires the next level consciousness change and music, through my “interruptive method”, does it! It is always great joy for us artists to meet with business leaders in creative atmosphere. Musical strategy experience inspires conversations to the higher level of meaning, resulting in the flow of unique business ideas. My friend Anders Indset invited me to perform for a group of executives from Montagsgesellschaft e.V. community in Frankfurt in September, entitled “Dinner with Friends”, and it really felt like it! enthusiastic feedback and standing ovations! “Speaking to you, dear HR leaders, it feels like coming back home. Let us consider r e s o n a n c e as the key enabler for your profession, develop Human Resonance!” this is how I greeted the distinguished HR leaders from around the world at the Talent Management stream within the prestigious European event “HR Core Lab” in Barcelona, where my speech was highest rated among all other speakers. And more in Barcelona: I presented for the academic faculty of the renowned IESE Business School, where I have been supporting the IESE-HARVARD-CEIBS Chinese Global CEO programme for many years. In Barcelona I also delivered my “Passage Through the Fire” lecture for Novartis Pharma European leadership, who invited me again this autom to speak at their leadership meeting in Villach, Austria. Unlocking imagination with my musical method, in Wuppertal I enabled the synergy of science and art with a leading German engineers association at the VDI Impulsgespraeche event. During my opening key-note speech at the prestigious Gartner Identity Summit London 2015 I “translated” processes of classical music into the realm of business transformation, helping modern organizations face changes and challenges in disruptive economy. My Resonance Platform Event Support Model came to life at the “Celebrating Life! Celebrating Soil!” Eosta Event in Amsterdam, as a part of the UN International Year of Soils. It was an adventurous pleasure to be part of the C-Talks kick-off event, the leading peer-to-peer organization for C-level executives in Switzerland. “Congratulations, I am impressed by your performance, the best I have seen for a long time!” is what one of the guests, CEO of Mövenpick wrote afterwards. Working with VP level of Bosch, Fiat and Weidplas leadership, my method of engaging formative forces of different art disciplines proved very helpful for participants generating their own, original solutions. My outreach to insurance industry was highlighted in 2015 with successful support at Baloise. In Cancun, Mexico, my popular “Business Sonata” was highly appreciated by the audience, leading global event organizers and industry professionals at the World Meeting Forum 2015. In the forefront of massive European monetary challenge, Hellenic Managers’ Association invited me to be the key-note speaker at the “Manager of The Year” award ceremony in Athens, Greece, encouraging the leadership to find innovative solutions for disruptive economy. My interest in working with global financial institutions over the years recently led me to a very creative session with the global private markets investment management, Partners Group. My musical thinking quite naturally resulted in the question about our global monetary system and I began exploring with my colleagues “the challenging call” of evolving this system from monoculture to “polyphonic” ecosystem. I continued introducing musical ideas for interdisciplinary curriculum at St. Gallen Business School and IEDC – Bled School of Management, where i serve as adjunct professor of Arts and Leadership. And during 2015 I gave again a presentation at 1492 Game Changer event in Altausee, Austria, a brilliant idea of Michael Hengl, who is the founder of 1492.//School of Business where I serve on the board of directors. Two in-house corporate workshops for two leading corporations in Dubai were the birthplace of INSPIRE DUBAI SOUL Expo 2020 Resonance Platform. As in the past, it have been my passion to actively participate in many special private events, co-creating visionary ideas with colleagues in the business, political, social and cultural scene. My special diplomatic mission as Slovenian Cultural Ambassador evolved over years to a very specific support of Slovenia’s business diplomacy. This interactive coaching and educational method for creation of “safe” places for open communication was developed by Miha Pogacnik and is based on a) use of formative forces of high art and culture (especially music and visual arts) as stimulus addressing emotional intelligence and creativity within each participant and b) Chladny effect (a well known physical experiment with resonance, more on http://www.terraparzival.eu/stran/5/tp_regional) where expert moderator through targeted moderation and creation of artistic resonance helps participants to develop inner organization of cognitive and emotional processes in form of their own awakened biographic structured ideas. This process results in enhanced capacity of group co-creation, heartstorming and solution-based learning. The resonance platfrom method is recommended for groups up to 40 participants and can be performed by moderators who can demonstrate a high mastery of artistic performance and have adequate expert knowledge as well as experience in managerial skills building, phenomenology and artful leadership education. You can find one example of Miha’s seminar using resonance platfrom method by clicking here. No trust can arise if we don’t develop genuine and deep interest in another human being. And there is no real interest possible if our perceptions are dull, if we don’t clear and sharpen our senses to be able to perceive uniquness of every human being! And music is the best way to fine tune and restore our senses and meaning of life to their glory. That is why I belive my method of turning great genius musical masterpieces into “safe place” process of “resonance platform” empowers leaders to journey the whole cycle – from making sense perception alive, to extending trust and having innovative impact on both levels of sustainable business: on social responsibility AND bottom line! Invited to Transformational Leadership and Terra Parzival Executive Quest! Cordially invited to join me and my expert colleagues at Transformational Leadership and Terra Parzival Executive Quest which will take place on July 2 – 5 2014 in the most beautiful places in Slovenia. This unique journey is geared towards those concerned with the emerging future in front of us. It is for everyone who is seeking to have their creative mindsets challenged and expanded. In particular, the module is tailored for experienced professionals and executives who have core responsibilities for strategy, vision, creativity and innovation in their organizations. more info also on IEDC Bled – School of Management . What is this unique and haunting quality that can be experienced if we open up to the musical process of the masterpiece, directing our listening flow of music and story through the heart, enabling the clarity of thought penetrate our feeling perception? MAGIC happens on this intensely resonating platform: concepts and ideas which hardened into digital PowerPoint death suddenly regain flexibility and dynamics of life and irreconcilable dilemmas that went sour, find creative solutions! On this level of active listening something happens that is not possible in “rational transaction”: the spark of inspiration jumps form masterpiece solutions to leadership solution! From position and opposition to composition! Fastest way to get above and beyond the target is daring the detour of musical resonance platform, value added! 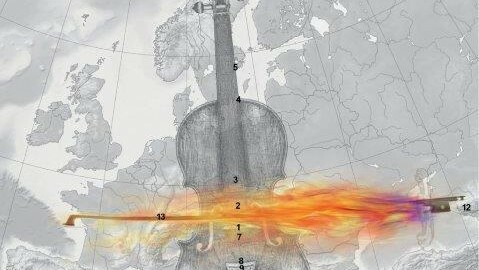 Mit den IDRIART-Kulturfestivals öffnete der Violinist Miha Pogačnik einst menschliche Begegnungsräume von Chartres bis in die ferne Mongolei. Nun will er mit seinem neuen Projekt „Terra Parzival“ seinem Heimatland Slowenien zu nachhaltiger Entwicklung und Europa zu einer Identität verhelfen. EXCELLENCE is the goal for management. For us artists it is the starting point, we have always been STRIVING for nothing less than GENIUS. Our new challenging inspiration however is: extending formative forces of art to create a safe and vibrant learning environment for LEADERSHIP, to help leaders growing wings for solutions ABOVE unsolvable dilemmas! Musical strategy: from fragmentation forces of POSITION and OPPOSITION to the raised resonance platform of COMPOSITION! What is the difference between MASTERY and DILETTANTISM (in leadership)? Nobody is born with this capability: it is rather a life-long learning challenge. To become a Master of Beginnings emanating Totality! When performing for the first time in the magnificant cathedral of Chartres 33 years ago I realized that in this extraordinary architecture playing on the violin needs to expand to “playing on the cathedral”, playing on the “Macro Violin”, playing from the periphery. This idea found its “home” as the final stage of Theory U by one of today’s leading economic theorists dr. Claus Otto Sharmer. The cosequence for me was that I motivated thousands of my audiences to share the “priviledge of performer violinist” and joined me and my collegues fellow artists, travelling with us to places of crises and transformation all over the world, co.creating over 200 intercultural festivals (IDRIART movement). The privilege of performer artist is to go beyond all tabus, beyond politics and so they played a decisive role in desolving European East-West conflict in 80’s and building costructivly on global challenges through “Art of Meeting” from Mongolia to Amazonia, Tibet to Southern Africa, witnessing pain of Dubrovnik, from Mostar to Sarajevo in 90’s and always receiving the confirmation: if we, as individuals from different cultures, meet on the inspiring Art-permeated platform – this is the window of opportunity for co-creation and response to emerging future! It is a wonderful and meaningful experience to listen to a musical masterpiece, but – do we really hear all complex and brilliant organic reality of many layers evolving simultaniously? Do we hear the relevance and potential solutions of the masterpiece to out daily challenges as a leader, do we even know that there is such a (paralel) relationship? Are we not, each of us, “composers” of an unique “masterpiece” called human biography? Over decades I developed a special method to “invite” my mainly corporate audience into the process of the musical masterpiece, as if going on the journey of “detour” to discover musical solutions to diverse leadership challenges. This method of “transfer” activates the creative side of my clients to find unexpected own solutions to their problems by themselves. What does a virtuoso violin player know about creativity? A lot, according to the Berlin School of Creative Leadership, which is presenting an inspirational speaker at ADFEST 2009 that promises to be one of the highlights of the festival line-up. Miha Pogačnik is a virtuoso violinist and cultural ambassador with an exceptional capacity to use classical music to inspire creative leaders to think beyond traditional boundaries. His presentation will be titled “Passage Through The Fire: A Harmonious Strategy For Uncertain Times”, and is likely to be one of the most unforgettable presentations of the year. Through his music, Pogacnik brings the concept of ‘Creative Leadership’ to life by exploring the relationships between harmony and tension, success and failure, flow and crisis. In an economic climate of great turbulence, there’s no better time to seek creative inspiration from ‘outside the box’. 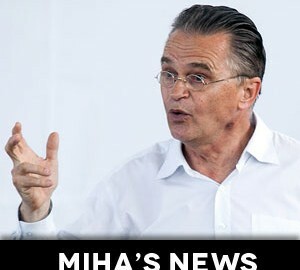 Part impassioned classical musical performance, part live improvisational drawing and 100% unbridled energy, Miha is an inspirational master of communication. 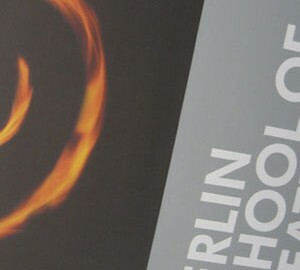 His presentation is made possible by the Berlin School of Creative Leadership. Miha Pogačnik boasts an unusual mix of musical and corporate skills. He is the President and Founder of the Institute for Development of Intercultural Relations through the Arts (IDRIART) and a Board Member of the Berlin School of Creative Leadership. Since 1998, he has directed the annual Business and Art Conference at Castle Borl, Slovenia and has also addressed the World Business Academy, the World Economic Forum in Davos, and groups at the United Nations. Miha´s clients also include Ericsson, Royal Dutch Shell, IBM, Hewlett-Packard, Saatchi & Saatchi, Whirlpool, Skandia Insurance, ABN Amro Bank, Nike and The Body Shop.